H264 demuxer and x264 encoder and muxer. TS demuxer, support PGS subtitle. MKV demuxer, support mkv multi-track subtitle (SRT & PGS). Improved the built-in DVD burner. Users could create homemade DVD with faster speed and clearer image quality with this version. New user help file and user guide document. Support downloading and converting the latest YouTube videos. 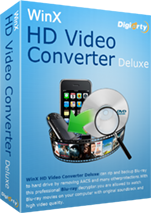 4 orang berkomentar on "Download WinX HD Video Converter Deluxe V3.10.3 Built on 20110304 Terbaru Full Version Rilisan 4 Maret 2011"
Wah, terimakasih banyak ya mas.